The LearnStorm Class Kit includes exciting goodies for your students to get your classroom in the LearnStorm spirit! LearnStorm will award a total of 500 LearnStorm Class Kits to the first 500 classrooms that sign up for LearnStorm! To earn a LearnStorm Class Kit, you need to have signed-up for LearnStorm by clicking “Enrol for LearnStorm” on the banner in your Khan Academy Coach Dashboard (banner available post 13th August). You must be signed-in to your Khan Academy teacher account to access the sign-up banner. First 500 classrooms to sign up win specially curated LearnStorm Class Kits! 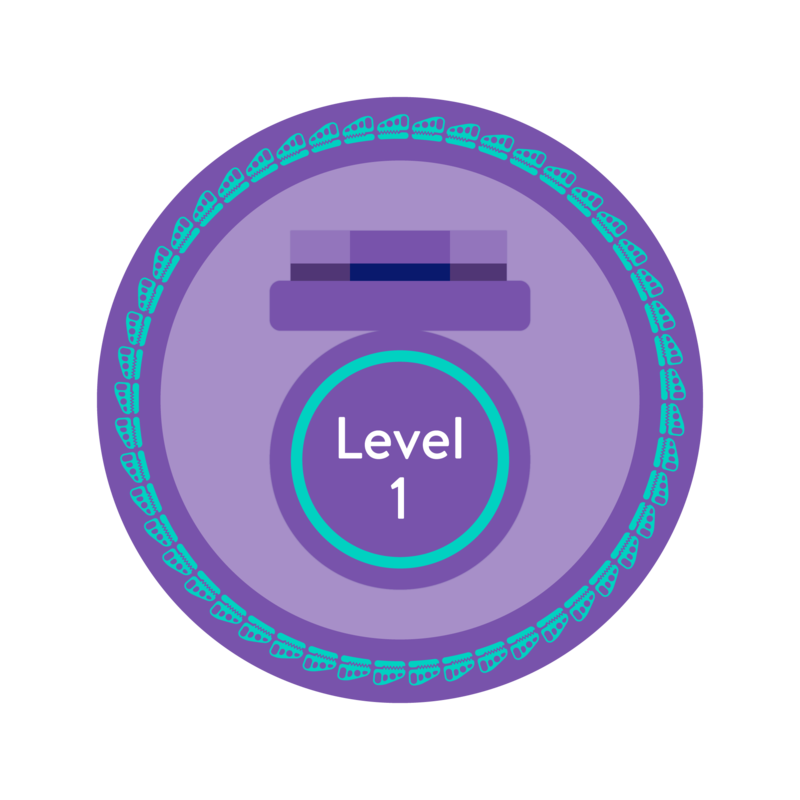 Complete all 6 levels to earn special LearnStorm completion certificates for your students. 10 schools will be selected as Keep Going, Keep Growing Award winners and 1 school will be our Grand Winner! All classes who reach level 6 on the LearnStorm Tracker are invited to apply. If multiple teachers in the school reach level 6, they should submit one application on behalf of the school. To ensure your school is eligible to apply we recommend checking your LearnStorm Tracker regularly to celebrate progress and unlock new levels with your students. We will notify LearnStorm participants via email when applications are open and provide more details on how to apply. In the meantime, we hope you enjoy LearnStorm with your students! We want to hear how LearnStorm has impacted your students, your classroom, your school, and you! In October 2018, applications will open for the LearnStorm Keep Going, Keep Growing Award. From the application pool, we will select 10 Keep Going, Keep Growing Award winners and 1 Keep Going, Keep Growing Grand Prize Winner! What do Top Award winners (10) receive? 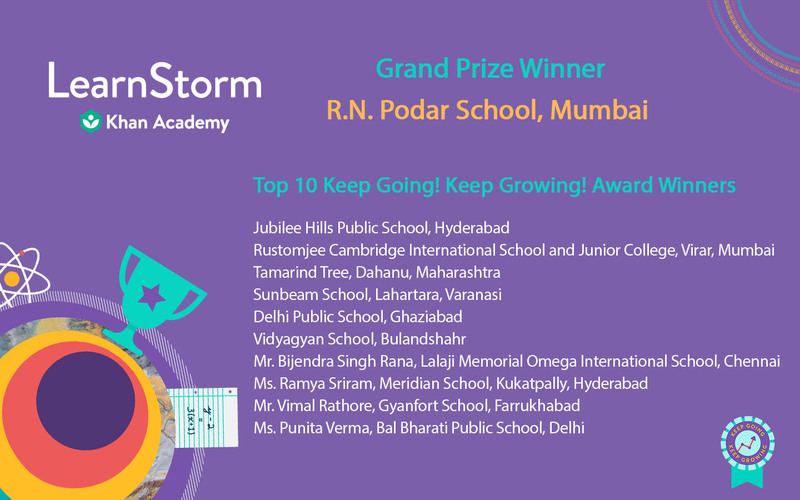 Top 10 Winners will receive national recognition, a trophy, a special celebration kit for the school and a celebratory video message from the LearnStorm India Team. What does the GRAND PRIZE Award Recipient (1) win? 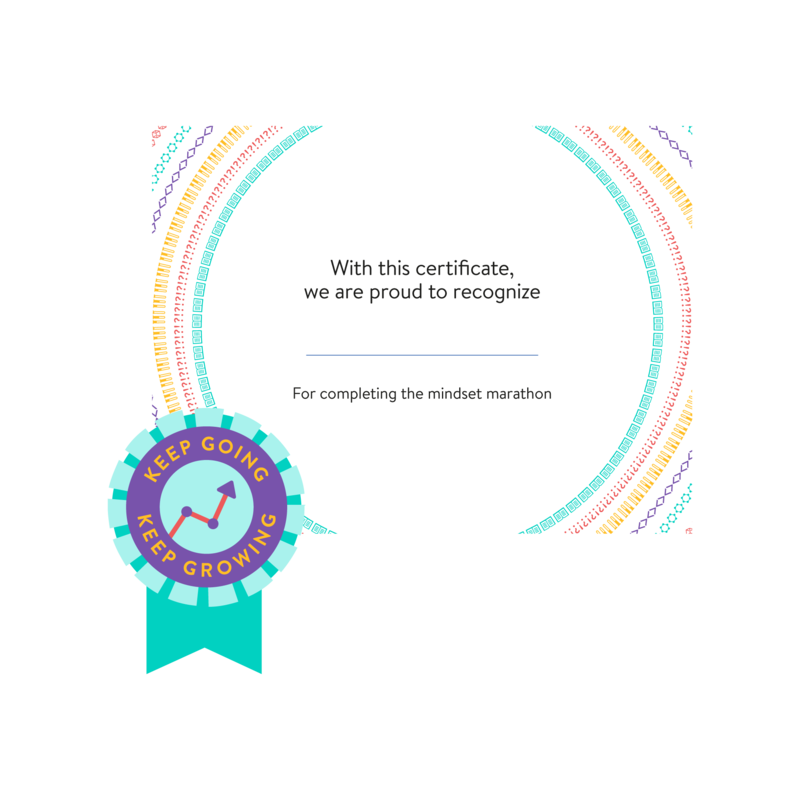 For the Keep Going, Keep Growing grand prize award recipient, the Khan Academy India team will plan a Khan Super Day filled with exciting activities for all the winning LearnStorm participants! They will also receive national recognition and the LearnStorm India Grand Trophy!